Vivián Imar and Marcelo Trotta, directors of the "Centro de Investigación Cinematográfica" (Cinematographic Research Center) of Buenos Aires, were called together for the writing and direction of the film. On August 14th, 1889 the German passenger and cargo ship “Weser” arrived in Buenos Aires. It was not known at that time that the group of immigrants on board would initiate a Jewish agricultural colonization in Argentina. About 820 Jews, most of them religious, prepared to face the challenge in a new fatherland with only one rabbi and two Torahs with them. They came from Russia, more precisely from Kamenetz – Podolsk, the capital of Podolia, a region located west of the Ukraine. They had left from the town of Bremen 35 days earlier and they were still exhausted from the journey, when they learned on a cold winter day that the promised land was not available. Action taken by the President and the rabbi of the Israeli Congregation in Buenos Aires allowed the landowner Pedro Palacios to sell part of his real estate. The colonists had no other choice than to buy it at a much higher price than its real value. That is how Moises Ville, “the mother of all colonies” as it was called later, was born. 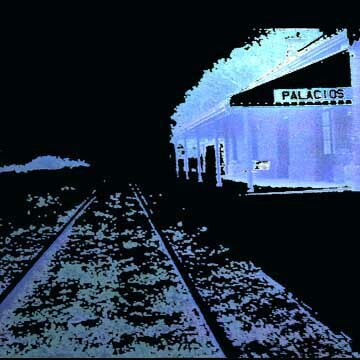 The “Podelier” (as the people from that place were called) were abandoned by Palacios in a storehouse belonging to the railroad system, without receiving any of the promised help. A doctor and scientist, Wilhem Loewenthal, was visiting the country on a study mission requested by the national government. He was the first one to be moved by the despair of those foreigners struck by both hunger and disease. Back in Europe he thought of a plan to help the Palacios’ immigrants, and did so with the help of the Israeli Alliance and Baron Mauricio de Hirsch. He became excited with the proposal "to offer a safe home to those fellow men who were forced to look for shelter in distant countries with the aim of starting a new life, far from the horrors of their native countries”. Thus, the founder of the Jewish Colonization Association (JCA), the philanthropic organization that supported most of the agricultural settlements in Argentina, sent Lowenthal to save those unprotected Jews. It was the beginning of an act which created colonies in the provinces of Santa Fe, Buenos Aires, La Pampa, Santiago del Estero and Entre Rios. These zones represent an area of approximately 6,000 square kilometers.